Gong Zhu (拱猪), which roughly translates into English as Chase the Pig or Catch the Pig, is a Chinese trick-taking game for four players, similar to Hearts. The “pig”, of course, is the Q♠, which reprises her role in Hearts as the card to avoid at all costs; here, she’s worth a whopping –100 points! The object of Gong Zhu is to avoid being the first player to reach a score of –1000 points by avoiding capturing certain cards (chiefly hearts and the Q♠). Gong Zhu is played with a standard 52-card deck of playing cards. 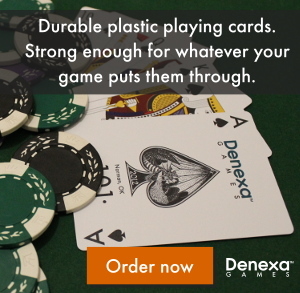 We certainly recommend that you use Denexa 100% Plastic Playing Cards. You’ll also need something to keep score with, such as pencil and paper or a scorekeeping app on your smartphone. Shuffle and deal the cards out one at a time until the entire deck has been dealt. Each player will have been dealt thirteen cards. On the first hand of the game, the player with the 2♠ begins play by leading it to the first trick; in every other hand, the player that captured the Q♠ on the previous hand leads whatever card they desire. Each player to the left then plays a card. They must follow suit if they can; otherwise, they may play any card they wish. The trick is captured by whoever played the highest card of the suit led. 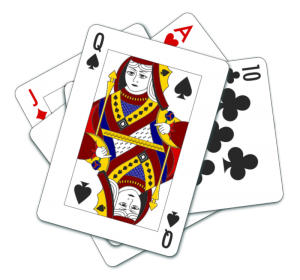 When a player wins a trick, they do not add the cards captured to their hand. Instead, they pull out any point-scoring cards (see below) and place them face up in front of them, then put the other cards face down in a discard pile in front of them. The player that won the last trick then leads to the next one. Game play continues until thirteen tricks have been played, at which point the players have run out of cards. The hand ends at that point and is scored. In addition, capturing the 10♣ doubles the net point value for the hand. So if a player captured the Q♠ and K-Q-8♥, their point score for the hand would be –180; if they captured those cards and the 10♣, their score would instead be –360. (Note, however, that the 10♣ can well be beneficial if the J♦ is captured alongside it. It can also be useful when shooting the moon; see below.) If the 10♣ is captured without any other point cards, it has a value of +50. No other cards have any bearing on scoring. If the A♥ is exposed, the point values of all hearts (not just the ace) are doubled. If the Q♠ is exposed, its value becomes –200. If the J♦ is exposed, its value becomes +200. If the 10♣ is exposed, it quadruples the net point value for the hand. Using the above example, if a player captured the Q♠ and K-Q-8♥, and the A♥ had been exposed, the player would score –260, because the –80 they scored for the hearts would be doubled to –160 (and the Q♠ would score –100 as normal). Collecting all of the hearts (including the 4♥, 3♥, 2♥) is called shooting the moon. Instead of scoring –200 points, a player who does this instead scores +200. If the pig is captured in addition to all of the hearts, it scores +100 instead of –100, for a total hand score of +300. The J♦ and 10♣ continue to function as normal, as well, so if all the hearts are captured along with Q♠-J♦-10♣, one would score a whopping 800 points (200 for the hearts + 100 for the Q♠ + 100 for the J♦ = 400 × 2 for the 10♣). Multipliers for exposed cards are also applied when shooting the moon, leading to the possibility of four-digit positive scores. Bartok is a game in the Stops family which starts out very similar to Crazy Eights, but, as the game goes on, accumulates more and more rules with each hand! It is best for six players, but can be played by as few as two. The object of Bartok is to be the first player to discard all of their cards. Bartok is played with a standard 52-card deck. 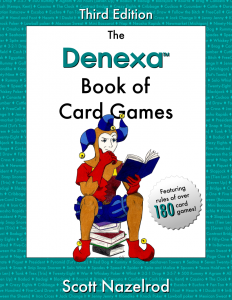 We heartily recommend you use a deck of Denexa 100% Plastic Playing Cards if one is available. (And if one isn’t, why not?) You may also wish to have a large piece of paper or even a dry-erase board handy to keep everyone informed as to the ever-growing rules of the game. Rather than have a typical shuffle and deal, in Bartok, the cards are placed face down in the middle of the table and washed, the resulting pool forming the stock. Each player then draws seven cards from the stock. One player flips a random card from the stock face up. This card, the upcard, is the first card of the discard pile. Game play begins with whichever player that takes the initiative to make the first legal play. Then, either one of their neighbors, to the left or the right, may make a legal play. Thereafter, play continues in that direction (i.e. if the first player was followed by the player to their right, then play continues on to the right). On the first hand, Bartok is played with a simple set of rules similar to many other Stops games. On their turn, a player may play any card that matches the upcard in either suit or rank. For example, if the upcard was the 7♣, any seven or any club may be played. This card is placed on the discard pile, then the next player then must match the new upcard. If a player cannot or does not wish to play any of the cards from their hand, they may pass and draw one card; this ends their turn, and play passes to the next player. When a player is down to one card, they must immediately (i.e. right after they set down their next-to-last card) call out “Bartok” to alert the other players. Failure to do so incurs a penalty (see below). If a player manages to successfully get rid of their last card, they win the hand. When a club is played, the next card played must be even. When a red card is played, the next card must be black. When a face card is played, the next player is skipped. When an ace is played, direction of play reverses. When playing an 8, the player must say “Eight ball, corner pocket”. When a 4 is played, the next player draws four cards and skips their turn, unless they can also play a 4, in which case the next player after them draws eight cards, and so on. If all other players but the one proposing the rule unanimously agree, the rule can be vetoed, and the same player must think of an acceptable one. After a rule has been in force for at least one turn, all players may decide to repeal it at the beginning of a hand by unanimous consent. The existing rules may be kept track of by keeping them written down somewhere visible to all players. Some players prefer instead, however, to make each player remember all of the rules currently in force, so as to make penalties more common. If a player is observed violating the rules of the game, they may be given a penalty of one card. Penalties may be declared by any player at any time. If multiple players notice the same violation, the penalty is considered to have been declared by the first player to mention it (i.e. a player cannot have the same violation charged against them by several players). If a player manages to skate by until the next person plays, with nobody noticing the violation, though, it is too late for the penalty to be assessed. Note that if a player receives a penalty, they still have to play a proper card or draw on that turn. This means that it’s possible for a player to rack up multiple penalties on one turn. Failure to say “Bartok” when down to one card. May be declared at any time a player is noticed to have one card, although if they manage to play their last card, it’s too late for them to be penalized for it. Wrong card. Attempting to make an illegal play. Delay of game. How long before it is acceptable to call delay of game should be decided ahead of time. Some players require a play in no more than three seconds. Requiring play this quick, of course, helps encourage more wrong-card penalties. If a player still has yet to play after another delay penalty has elapsed, they may be penalized for it each time. Incorrect penalty call. A player who incorrectly declares a penalty on another player is themselves penalized. Game play in Bartok continues until either all players mutually agree to end it or the accumulation of rules causes further play to become impossible. Black Hole is a solitaire game that was invented by the British game expert David Parlett and first appeared in his 1979 book, The Penguin Book of Patience. It has a fairly simple premise, namely, moving cards of consecutive rank to the center of the layout. It is considerably easier to win than the similar Golf; a player can expect to win 86% of the time. The object of Black Hole is to move the entire deck to the foundation pile in the center of the layout. Black Hole is played with one standard 52-card deck, like a deck of Denexa 100% Plastic Playing Cards. 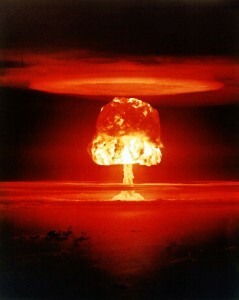 Remove the A♠ from the deck and place it in the center of the table, forming the foundation pile. Then shuffle and deal seventeen piles of three in a circle around the foundation. (Refer to the image for a sample layout). All of these piles, other than the foundation pile, are referred to as the tableau. Keep the tableau piles spread out slightly so that the indices of all three cards are visible. There is only one valid move in the game, and that is to move cards from the tableau piles to the foundation. A card may be played to the foundation if it is one rank above or one rank below the top card of the foundation pile. For example, if top card of the foundation is a 5, a 4 or a 6 may be moved to it. Direction may be change at any time; one may play, for example, 6-5-4-3-4-5… The ace is considered consecutive to both the king and the 2. The game continues until either all 52 cards are moved to the foundation (a win) or no more moves are possible (a loss). Go Boom is a game in the Stops family that plays similarly to Crazy Eights. Unlike in that game, however, the rank of the cards played matters immensely—control of the game goes to the one who plays the highest card. Go Boom may be played by two to six players. The object of Go Boom is to be the first player to discard all your cards by matching cards played previously in rank and suit. Go Boom uses one standard 52-card deck of playing cards. It should come as no surprise that we highly recommend Denexa 100% Plastic Playing Cards. Shuffle and deal seven cards to each player. The remainder of the deck is placed face-down in the center of the table, forming the stock. The player to the dealer’s left leads any card. The next player to their left must then play a card of the same suit or the same rank. For example, if the card led is the 5♠, they must play any other 5 or any other spade. If a player is unable or unwilling to play a card, they draw from the stock until they are able to play. 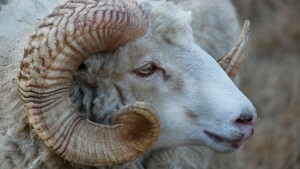 If the stock is depleted, their turn passes without playing a card. Once all players have had the chance to play, the cards are examined to determine the highest played on that round. Cards rank in their usual order, with aces high. If multiple cards of the same rank tie for highest, the one that was played first is considered the high card. The cards are then moved to a discard pile, and the player who played the highest card gets to lead to the next round. Game play continues until one player has discarded all of their cards. That player is the winner. Commerce is a French game that was popular in the 19th century. It was the forerunner of Whiskey Poker and other games that play similarly to it, like Knock Poker and Paiute, but unlike those games, it uses three-card combinations rather than five-card poker hands. Commerce is originally a gambling game, but like Whiskey Poker, it is easily adapted to non-gambling play, where players compete to win just for the sake of winning. It is best for three to ten players. The object of Commerce is to end the hand with the best three-card combination. Commerce is played with a standard 52-card deck. We highly recommend using Denexa 100% Plastic Playing Cards, of course. You will need to establish whether or not the game is being played with betting. If so, all players should agree to the value of one stake. Each player antes this amount to the pot. Shuffle and deal three cards to each player. Then, deal three cards, face up, to the center of the table. Three of a kind (e.g. three jacks). Ties are broken by the rank of the tricon (aces are high). Three cards of the same suit, in sequence (e.g. 9-8-7♣). Aces can count as high (in A-K-Q) or low (in 3-2-A). Ties are broken by the highest card of the sequence (3-2-A is considered a 3-high and thus the lowest possible sequence). Three cards of the same suit. Ties are broken by the flush’s point. Two cards of the same rank, plus one unmatched card (the kicker). Ties are broken by the rank of the pair, then by the kicker. Three unmatched cards. The hand with the highest point wins; if two hands have the same point, ties are broken by the rank of the highest card, then that of the second-highest, then the lowest. If necessary, a hand’s point may be determined by adding up the value of all of the cards in the hand. Aces are worth eleven points, face cards are worth ten, and all others their face value. Before the dealer looks at their hand, they may discard one to three cards from their hand, unseen, in exchange for one to three of the three board cards. Their discarded cards are then turned face-up and serve as replacements for the cards drawn. This is entirely optional, and the dealer may decline to take any of the face-up cards, choosing instead to start the game with the (unknown) cards in their hand. Game play proper begins with the player to the dealer’s left. This player may swap one to three of the cards from their hand for the cards on the board. Each player may only swap three cards on the same turn once per hand (if the dealer switched out all three of their cards at the beginning of the hand, this is counted as their one three-card swap for the hand). Play then passes to the player on their left.